This photo was taken in the wee hours of early morning at the Carousel in City Park…all the animals were waking up! Built in 1906, the Carousel is over 100 years old making it a true antique. 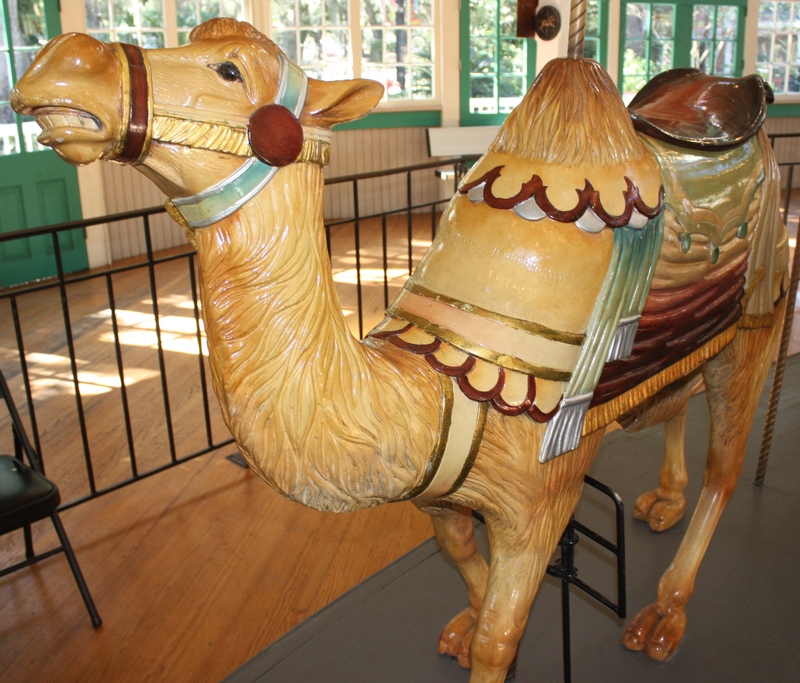 There are fewer than 100 fully-wooden hand-carved Carousels in the country. 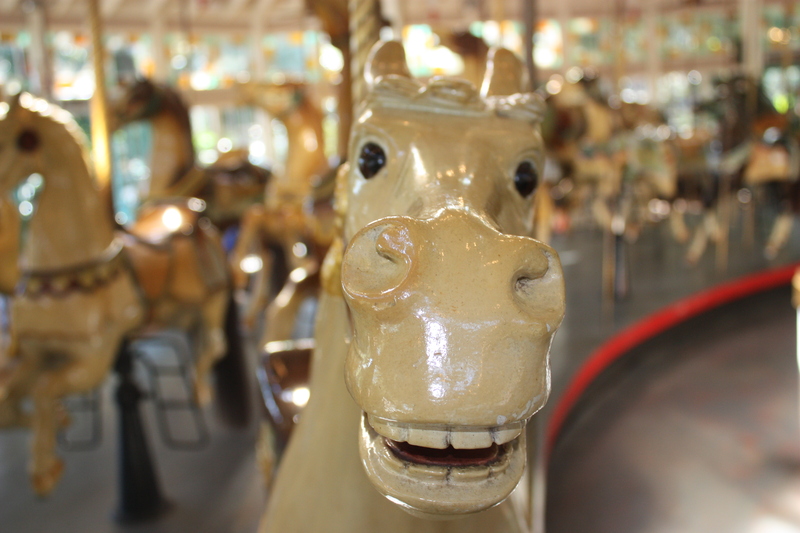 Locals call City Park’s Carousel animals the “Flying Horses”. 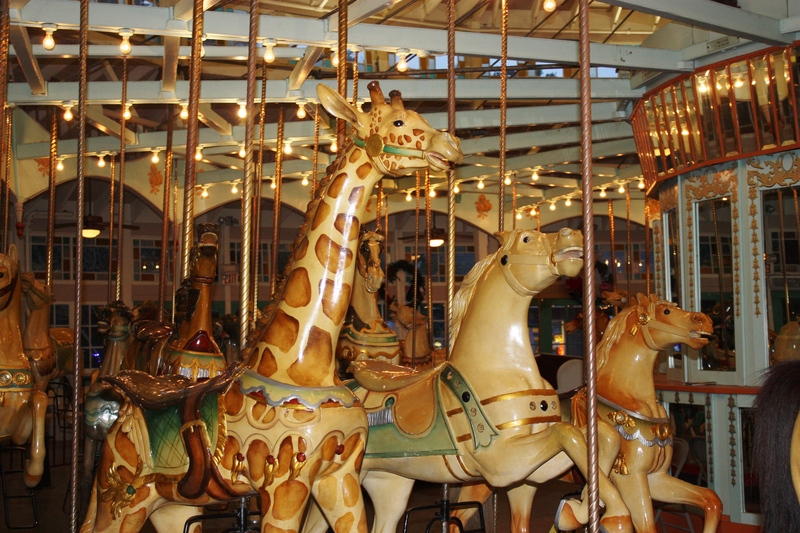 There are 54 carousel animals including a giraffe, a lion, and a camel. The horses have real horse hair tails. Each animal is unique and well loved by everyone who visits. The Carousel is available for parties of all kinds! 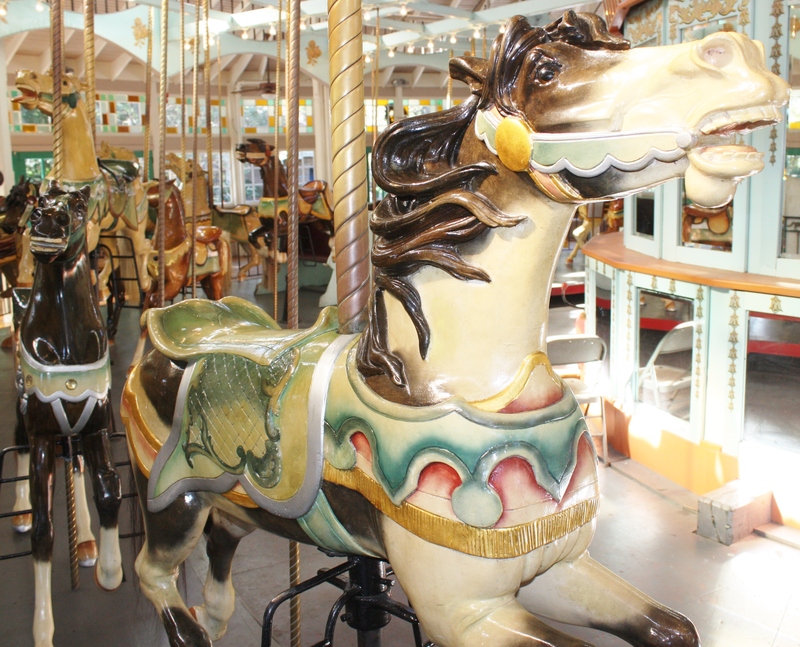 You can ride the Carousel when Carousel Gardens Amusement Park is open for business. Hours vary throughout the year. Currently, you can ride the Carousel and all the Amusement Park rides while at Celebration in the Oaks. Learn more at this link about how Friends of City Park is making the Carousel the center of Lark in the Park 2014.